As readers of this blog may well have gathered over the years, I am an active member of the British Socialist Workers Party. I've been a member for twenty years now and was attracted to the organisation for the way that it combined a serious examination of the world, with a commitment to trying to change it. 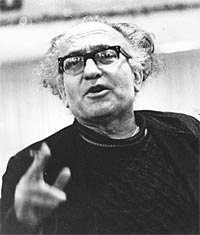 The SWP comes from very small beginnings and its founder, Tony Cliff, spent almost all of his life trying to build socialist organisations. The vast bulk of his life was devoted to the SWP and its forerunner, the International Socialists. My own personal recollections of Cliff are limited. By the time I joined he was entering the last stages of his life, and while he lived until 1999, it was clear that he was slowing down. I heard him speak on a number of occasions, at both public and internal party events. As many accounts in this biography attest, Cliff's speaking style was a wonderful mix of hard politics, quirky jokes, Marxism and mixed metaphor. He was entrancing, but political strong. Even by the time of the mid-1990s when I heard him in his eighties, he could hold an audience of workers and students spell bound. 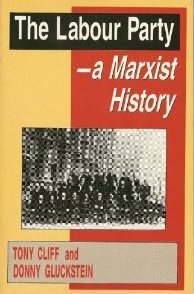 To those outside of the world of revolutionary socialist politics, the idea of reading a 560 page biography of a little known Marxist might seem a little strange, not least if that Marxist was active in building revolutionary organisation in an era which was distinctly un-revolutionary. 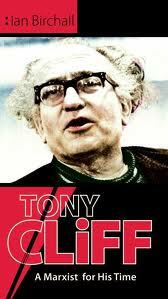 But Tony Cliff's contribution to both the worker's movement, Marxist theory and the various political organisations around the globe, that, like the SWP continue to fight for socialist politics was an important one. Cliff was born in 1917 to a Jewish family in Palestine. Early in his life he was branded a "communist" by a teacher for asking why there were no Arabs in his class. In his teens he became attracted to radical politics, and joined small revolutionary organisations influenced by Trotskyist ideas. One of the most interesting chapters of Ian Birchall's biography is this section on Cliff's early life. In part this is because for most socialists in the UK, or indeed much of the world, being active is not about clandestine politics but mostly because Birchall has managed to unearth a great deal about Cliff's early life. Only a handful of those who knew him then remain alive. It's testimony to his personality that they all, even when their politics have radically changed, remember him with warmth and affection. Coming to the UK Cliff joined the small Trotskyist movement. His commitment to building organisations was clear, but so was his desire to both understand Marxist theory and apply it to the world around him. For me, his key theory, State Capitalism, seemed obvious. I'd been brought up by a German mother, who'd watched the wall being built and we heard the stories of families divided and repressed by the East German state. But in the post-war period, when Russia still loomed as a socialist alternative to western capitalism, a Marxist theory that argued that this was not genuine socialism and nor was it the "degenerated" socialist state that Leon Trotsky had described, was a shock to many. Today these arguments might seem of the order of counting angels on a pin, but the clarity of such politics was crucial in enabling Cliff to build a core of activists and thinkers who went on to build the forerunners of the SWP. There is no point here re-counting the different stages of Cliff's life. He was, surprisingly for a foreigner, oddly influential in the workers movements of the 1960s though some of his writings. He had a rare ability to put complex points across clearly, with reference to the lives of ordinary people, or through the use of amusing metaphors. In fact for me, it is mostly through his writing and speeches that I remember Cliff. I was not of the era who remember him for his regular phone calls, nor was I someone who'd heard him speak hundreds of times. Birchall's book does not fail to criticise Cliff. Cliff was a adept user of the "bending stick" method of revolutionary politics. As the world changes, revolutionary organisations needs to rapidly adapt to changing situations and this means winning an argument with the membership about a new course. Cliff was swift to change direction, quick to break with former favourites who he felt didn't fit the new course and likely to find new favourites. This isn't necessarily a bad thing, but clearly from Birchall's biography there are many, former key-activists who still remain burned by the way their were treated. It is testament to Cliff's stature that many of these people felt happy to speak to his biographer. Including, surprisingly ex-Labour MPs and members of Tony Blair's cabinet. The latter stating how much they learnt from Cliff (though clearly not enough). More interestingly, this is more than a biography. In quoting at length from Cliff's speeches and writings, Birchall gives us a glimpse of different periods of recently British political history. The section on 1968, for instance, when Cliff argued for a turn to student work and spent days winning arguments with leftist students at the London School of Economics is a fascinating insight into the period. (For more on this I'd recommend this short piece.) But Birchall also takes time to explain some of Cliff's ideas - I've mentioned State Capitalism, but his arguments around Deflected Permanent Revolution (the way that revolutions in former colonies were deflected by their nationalistic leaders down a different road from socialism) and the theory of the Arms Economy, that helped explain the long boom after World War II were important to new generations of Marxist thinkers. Most importantly though I think Birchall helps us understand Cliff's method, and through that the general Marxist method. Since the Russian Revolution one figure looms high amongst those who fought to retain the essential core of revolutionary socialism - that working people must emancipate themselves - that was Leon Trotsky. Since the Second World War a few revolutionaries continued this work and Tony Cliff was probably the most important of this. His vision and his hope that working people on the late 20th century could still overthrow capitalism and build a new world inspired thousands. Today as we face economic chaos and environmental crisis that need is still there. Cliff helped build the beginnings of the socialist organisations that can be part of that transformation. His life and his works remain essential reading for all of us who want to take that struggle forward. Given the nature of socialist politics, Ian Birchall's book has been the subject of intense debate, discussion and need I say, polemic. Sadly some of this reflects the worst of the socialist movement. Some of the most useful reviews are below, chosen more for their political insights, rather than their polemic.